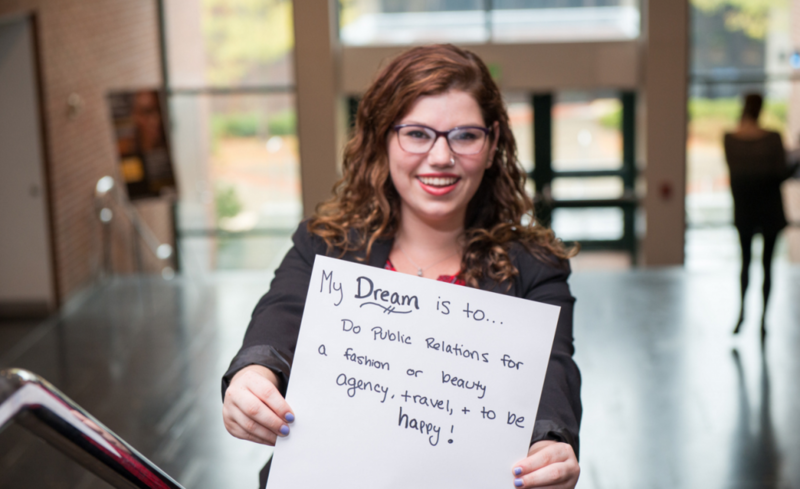 How did you decide to study public relations? I originally heard of New Paltz because in high school I was dead set on becoming a music therapist, and New Paltz has a music therapy program. It’s still a profession I respect so much, but I decided to come to school undecided. I wanted to feel it out first. I took a music therapy course, and it was incredible. I loved it. But I also realized that I’m not meant to be a music therapist. I’m very much a planner, and you have to be a very spontaneous person to be a therapist, according to whether your client is having a good day or a bad day. I respect that, but I knew I couldn’t handle that. I realized that the skills I had could be put more toward public relations and communications. I took classes that helped me realize that I’m more interested in culture and people and talking. 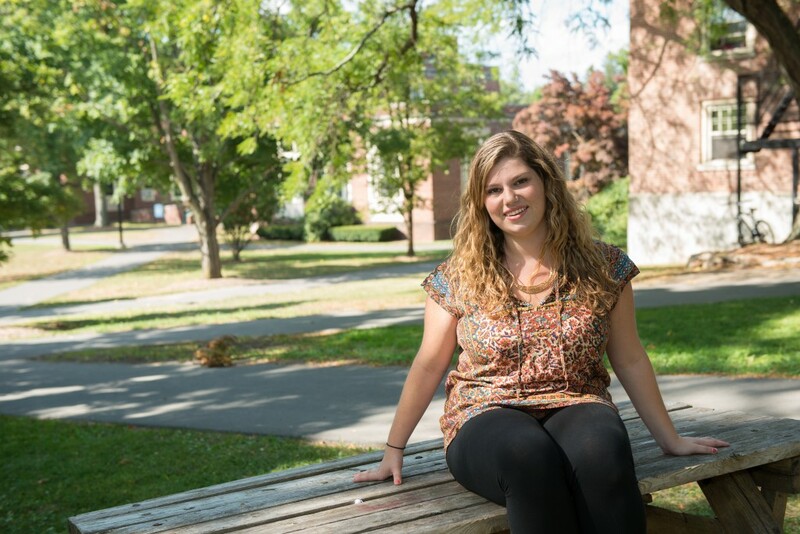 What do you like about the New Paltz area? I love the small college town feel. I feel very safe and approachable. I like that I know all the streets, where the stores are. It’s nice being able to walk everywhere – it saves money, and it’s healthy – but it’s not too far to drive to Poughkeepsie if I’m looking for more of a city. 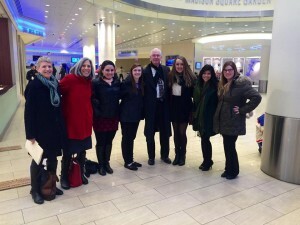 Stephanie (far right) with President Donald P. Christian (middle), Vice President for Development and Alumni Relations Erica Marks (second from left), Development Program Director Lisa Sandick (far left), and fellow Honors students on a trip to Madison Square Garden. How does that translate to the classroom? I like being able to participate in class. I like to talk things out rather than sit and be lectured. 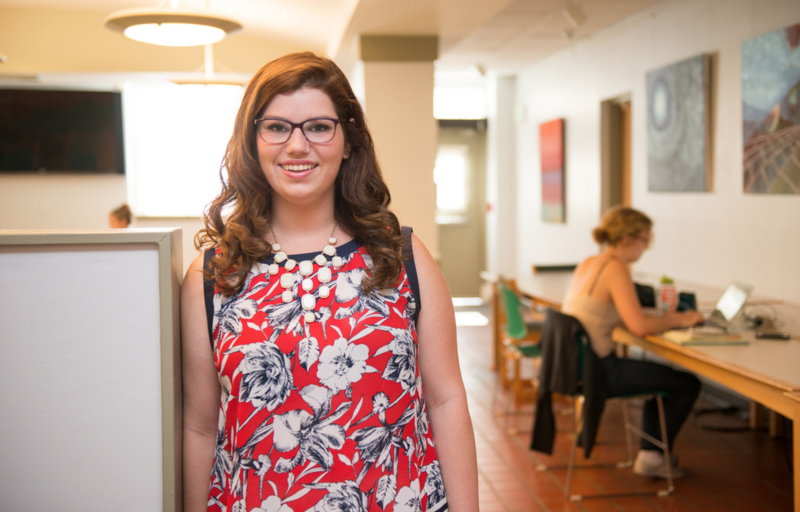 But even the lecture classes I’ve taken have been 60 or 70 students – nothing too overwhelming. Now that I’m getting into the classes for my major, I’m with the same people over and over, which is fun. Which courses or professors have stood out for you? I’ve honestly enjoyed all my classes! I think the courses that stand out for me are the ones I wasn’t expecting to take. I took a “History of Fashion” class my freshman year, and ended up being a teaching assistant for Andrea Varga, which taught me so much about doing research. She’s been a great help. I studied abroad in Spain last summer and she inspired me to do that. Isidoro Janeiro and Luz Porras in the Spanish department have been great – I was ready to drop my Spanish minor, but they told me I was good at it and encouraged me to keep going, and now I absolutely love it. Pat Sullivan from the Honors Center has been a huge help. I sit with her every time I make my schedule, and she helps me figure out what I need to do. I love the small college town feel. … It’s nice being able to walk everywhere – it saves money, and it’s healthy. How did you benefit from studying abroad in Spain? It made me really want to travel more! I went to Spain for a month. I was thrown into this whole new culture that I’ve learned about for years, speaking a language I love. I also learned a lot of independence. What do you get out of being a part of Chabad? It’s really great. Rabbi Plotkin and his wife, Bracha, have a house off campus that’s part of a national organization, but it’s also a student organization. Once a week, we have social events on campus for all students. Anyone is welcome to come. We have falafel night, game nights, movie nights, things like that. Every Friday night we have Shabbat dinner, and they have services at their house. Once a semester, we have an on-campus Shabbat, which is the thing I’m the most proud of. We had close to 250 people come last semester. It was the most successful thing we’ve done. It’s not about trying to convince anyone to be Jewish, but just teaching people about religion and culture. It’s a great social activity. You end up making so many friends, and I love that everyone is welcome. It would be great to work for a company that has international offices, where I could travel but be centered here. I’d love to do public relations for a company that works with music or television, or something with media. But that’s all up in the air. I’d be happy to take a job anywhere to get the experience and take it from there.